We can find wonderful things everywhere but during the Pure Design Fair I found a creative project that deserves a special highlight. I was meandering the halls of the fair looking for the star product that would inspire me! Suddenly, I looked to my left and noticed a lot of commercial space that reminded me of an old neighborhood butchers, with a very nice boy indeed who was inviting me to enter. Inside I found myself asking whether they sell food here? Well, the answer was infront of me. They sell ​​shoes! This project is not only about following the usual fashion trends. In particular, it presents us with a new proposal in dressing our feet that goes far beyond anything we've seen so far. 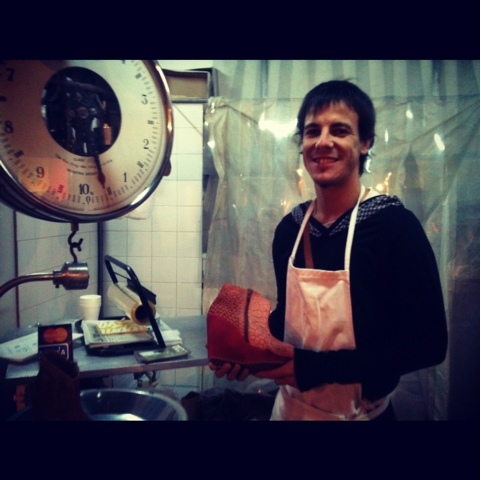 Visceral Brand is Argentinean and produces only here in Argentina using leather of tripes (mondongo in spanish). The tripe is prepared with care and precision. 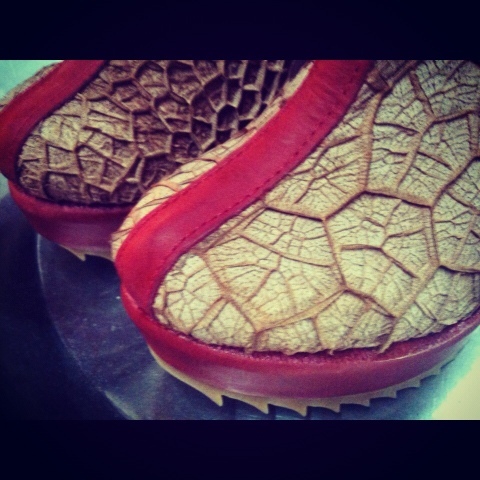 Lori Carini, an Industrial designer, is the brain behind the project and idea in using an interesting texture in the leather. Tripe is obtained as a waste product and is tanned using traditional and ecological plant extracts. Most important this is a prime example of how a raw material can be transformed into a new, innovative fashion product in a revolutionary way. Pure Design Fair. Part 1, Buenos Aires. Amazonas Sandals. A greener alternative!